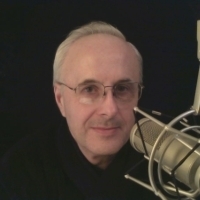 In a previous life, I was a radio broadcast engineer, as well as a disk jockey, sales manager, and general manager. My technical experiences include building and maintaining radio stations and transmitter sites. A production console I built for a radio station in the early eighties is still in use on a daily basis. I have also been an electrical design engineer for a manufacturing company developing analog and digital industrial transducers. My undergraduate degree is in Electrical Engineering. Audio has been a passion for many years. My brother and I owned a recording studio until he passed away in 2013. It's a little strange, but I'm a microphone collector. While you and I may not agree which microphone is best for a particular application, we can sure talk about the topic. If there is any way I can help you with your Internet broadcasting audio, just let me know. Please note that I am not notified when comments are made. If you have a question, please contact me on Twitter at @mcphillips. If you’re not a Twitter user, try my Gmail account, which is mcphillips. Every Sunday from 9AM until Noon EST, the Nissan Communications Network brings you "Computers 2K Now". It's a call-in show with guest interviews, hosted by Amnon Nissan of Deltaforce, with co-hosts Mike Phillips, Nick Craig, and Steve Guessed. You'll frequenctly hear Andrew Zarian, as well! The gang takes calls on all computer, networking, technology and Internet-related topics, including Internet broadcasting. The audio portion of the show is streamed on our own http://g12.com.